You cannot deny the importance of image quality when it comes to getting followers engaged with your content and brand. But Instagram captions provide the call-to-action to get them really hooked on what you’ve got to offer! The caption of your post amplifies the voice of your brand, adding an extra personal touch. 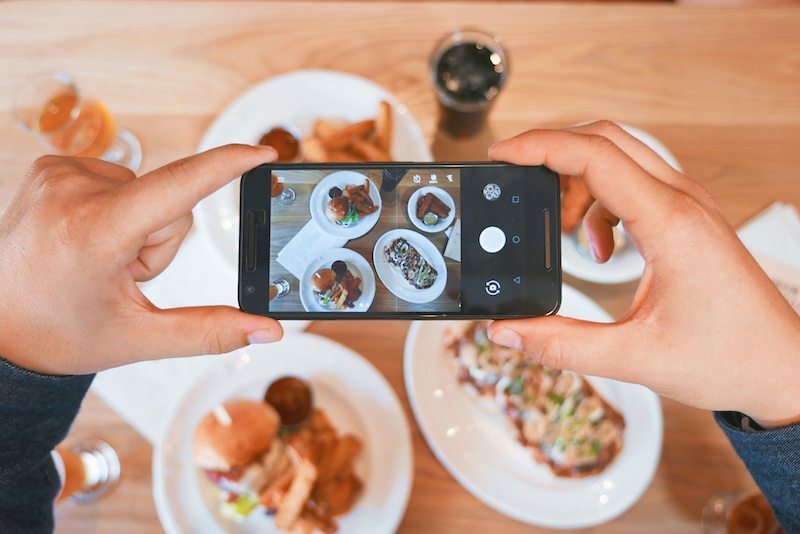 If your Instagram captions are an afterthought to the post, then you could be potentially losing out on a big opportunity to engage and delight your followers in ways you can’t with just a visual. That’s why we have put together tips and tricks to help you write better Instagram captions. As they say, “practice makes perfect”, and writing Instagram captions is no exception. Posts need to be strategically thought out, not rushed, so that they provide maximum benefit to your brand. With that in mind, now is the time to sit down and have a good think about what benefit you want your brand to provide, and craft some copy around those features. It is important to consider how you can use SEO tactics to enhance the visibility of your posts also. This could include hashtags or @mentions entwined within the caption to tell a story. You know that little ‘more’ button that you sometimes see on an Instagram caption when the character count is quite long? Well, it is crucial that you state the important parts BEFORE you get cut off by the ‘more’ button. This is usually within three or four lines of text. This doesn’t mean keeping your captions short, rather learning how to prioritise the important information first, including call-to-actions, event details, sales or promotional offer, etc. As a general rule, it can sometimes be best to leave all of the hashtags and/or @mentions till the very end. This is a must! The best way to increase the shareability of your Instagram post and engage your followers is to have a strong call-to-action within the caption of your post. You want your followers to do something after seeing your post – make them want to do it! You’ll need to incorporate action verbs and creative adjectives to really stimulate the reader, and stop them from scrolling past your post. You could ask a question, direct people to a link in your bio, or invite people to tag their friends, even enter a contest. Don’t go hashtag crazy. For best practice limit your hashtags to five maximum, but ensure that they are competitive, engaging, and strategically valuable to your brand and your post. If you are struggling to work out what kinds of hashtags will work best for you and your business, research your target audience and the kinds of interests they have online to gain an idea of what hashtags are trending and resonating with them. If you can creatively find a way to tie it into your business, then jumping on a “trending hashtag” or creating a campaign hashtag yourself can be a great way to gain additional exposure organically. You can read more about “Hashtag Hijacks to Help Your Business” here. This is an important element to remember, as it builds trust and authenticity among your audience. Every social media platform has a different kind of audience; hence a different kind of voice and tone. That means finding the right balance between your brand voice and the tone of the platform you’re using can become a little challenging. A simple way to approach the content and copywriting planning for your brand is to adopt a light-hearted, fun tone throughout your content on Instagram. Maintaining a consistent voice across your content also aids in building brand trust on Instagram. They’re fun. They’re cute. And more importantly, they’re eye catching. Emoji’s may seem a little silly to use for a business profile but they can be very effective in gaining your audience’s attention when scrolling through their Instagram feeds. Don’t confine your followership to one social platform. Let your Instagram followers follow you on Facebook, Twitter, YouTube, and even your website. Cross-promoting your channels is a great way to let others know where they can find you, and will significantly aid in maintaining engagement and social connection with your brand. Want to enhance your Instagram aesthetic? Check out our previous blog, “15 Inspiring Instagram Creative”, for a whole bunch of clever creative content ideas. Or if you just need a crash course in Social Media 101, download our FREE Beginners Guide to Social Media eBook here. You’ll learn how to get started, and how to quickly master the right channels for your business.